The Renegade Classics Motorcycle Clothing Company was launched in Fresno, California, back in 1990 by Kent and Debbie Mortimer. Their idea was to create a store that catered exclusively to the Harley, Cruiser and V-Twin Biker market, offering high quality goods at reasonable prices. Even though their Fresno store was in a hard to find location and had no visibility from a major street, "bikers" found it and word spread of their great prices on "Biker" essentials and the high quality clothing they designed and manufactured. Their reputation grew further by their presence at many runs and events in Northern California and their own store parties and events. In 2002, Kent was approached by Troy Rowsey about licensing the concept for a store he wanted to open in Sacramento, California. An agreement was made and the Sacramento Renegade Classics was soon a roaring success. Kent and Troy then formed a partnership to license the concept nationally. Renegade Classics now has over 40 partners nationwide, including three outlets in Sturgis SD, which open annually for the August rally. All the stores are locally owned and operated and strive to meet the needs and tastes of their local "biker" communities. The Renegade Classic Motorcycle Clothing Company now designs and manufactures over 100 different styles of clothing for men and women in Fresno, California. Using the best raw T-shirts, women's tops, sweats, thermals and screening gear on the planet, their reputation for quality products has grown. Clothing from Renegade Classics can be seen on the backs of "bikers" all over California, up and down the streets of Sturgis and as far away as Dallas and Houston and up and down the east coast from New York to Florida. All Renegade Classics Stores are locally owned and operated. What do we add to the Annapolis mix of motorcycle dealers and stores! 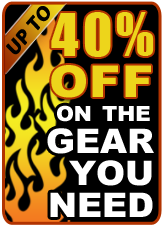 Due to our buying power that comes with being affiliated with 44 other stores, Renegade Classics can sell at lower prices and find and test new and unique products sooner. And because we don't choose to cater to the Dirt Bike and ATV Crowd, we have more space for products bikers want and provide many items you can't find at other shops. Renegade Classics is NOT some "cookie cutter" corporate franchise, so we can take our store where you want it to go. Your suggestions and feedback will always be recorded and appreciated. 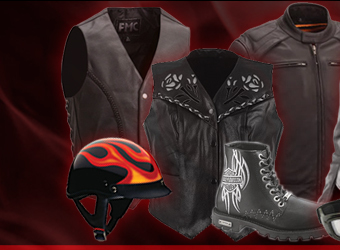 Our goal is to be your #1 Motorcycle Outlet for all the Apparel and Accessories you need to enjoy your biker lifestyle at down-to-earth prices. Customer service is our #1 goal. We know that our best source of advertising comes from you, our customer, and as such, we want to make each and every visit to our store a positive one. Our commitment to our customers has remained the same from the first day we opened; to provide our customer’s the largest selection of motorcycle apparel and accessories at incredible prices, while providing superior customer service.